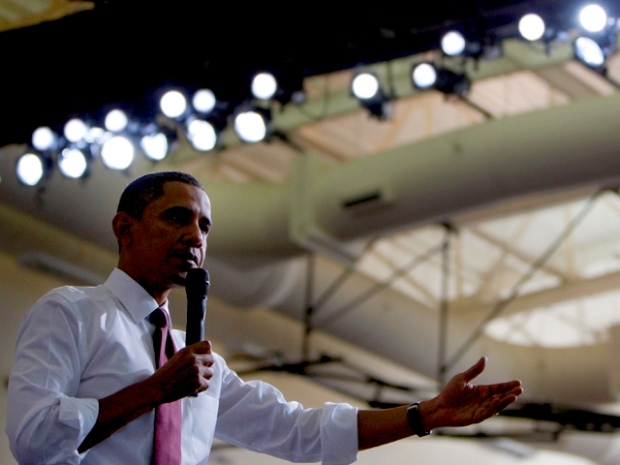 The president's planned address to students is getting backlash. RICHMOND, Va. -- Virginia schools are fielding questions about a back-to-school speech President Barack Obama plans to make to students after conservative columnists and talk-radio hosts roundly criticized what they're calling an attempt to indoctrinate children. A number of school divisions asked the Virginia Department of Education for guidance this week after local officials heard from parents concerned about the address, spokesman Charles Pyle said Thursday. It's up to local divisions to determine whether a school or class views the address, according to the Department of Education. Teachers who choose to incorporate the president's speech into their lessons are also free to develop their own classroom activities, Pyle said. At least one northern Virginia school system -- Loudoun County -- has decided against airing the speech, The Washington Post reported. Their decision was logistical, officials said, and principals were instructed to carry out their planned first-day-of-school routines. School officials in Fairfax County, Va., and Montgomery and Howard counties in Maryland told The Post they are leaving the decision up to principals. Meanwhile, Charles County, Md., school officials won't be showing the speech because of technical limitations. Obama plans to speak directly to school-age children via a broadcast from Wakefield High School in Arlington on Tuesday as part of an attempt to highlight the importance of taking responsibility for their education and staying in school. "My Education, My Future" events also will feature Cabinet members and other senior administration officials appearing at schools nationwide to discuss education with students. Numerous conservative columnists and talk-radio personalities lashed out at the effort earlier this week, calling it brainwashing and worse. Glenn Beck called it "the indoctrination of your children," and Michelle Malkin's column was titled: "Obama's classroom campaign: No junior lobbyist left behind." The state education department is encouraging schools that participate in Tuesday's event "to make reasonable accommodations for students whose parents may object to the viewing of the speech by their children during the school day," Pyle said. A handful of parents called the department, and some parents were more concerned about the suggested activities that were to accompany the speech than the speech itself, Pyle said. Others felt strongly that students should watch the speech. Powhatan County's school division is opting out of watching the live broadcast primarily because activities are already planned for the first day of school, Superintendent Margaret Meara said Thursday. "This is not an indication of any disrespect for the president," she said. "We received extremely short notice of the planned speech." Bill Craig, the district's assistant superintendent for elementary education, said Powhatan teachers won't be allowed to incorporate the video address into future lesson plans, though he didn't say why. Craig said school administrators haven't made a decision on whether to use the supplementary lessons accompanying Obama's address. School officials will record the address and make it available at parents' request. Powhatan school officials heard from parents opposed to allowing their children to watch the address and those who want their children to see it, Craig said. He was unable to say how many were for or against. Henrico County, in suburban Richmond, will allow teachers, principals and staff to decide whether to show the president's address school-wide or in individual classes, school division spokesman Mychael Dickerson said. "We recommend that they view it first, see how it fits into the instructional day, and make sure they contact parents to give them the chance to opt out of seeing the message from the president," Dickerson said. Henrico County schools have received dozens of calls and e-mails from parents in the last two days, the majority opposing their children watching Obama's address. "But we've certainly received very passionate e-mails from parents who are upset that there would be any question whether to show a message from the president of the United States," Dickerson said. In 1991, Democrats criticized President George H.W. Bush for a nationally televised speech to students encouraging hard work in school and discouraging drug use.